Nothing beats the smells and tastes of a summertime barbeque. As one of the simple and classic joys of summer, many people take pride in proclaiming themselves the grillmaster of the day and cooking up a feast of foods for friends, family, coworkers and customers to enjoy. However, before lighting up that propane grill, there are several safety tips to keep in mind before preparing your propane tank for grilling. Our experts at Northwest Propane Gas Company offer this advice to ensure your next cookout is a safe one. Before grilling, check the propane cylinder for leaks. Do not try to modify a propane cylinder or repair a leak yourself. Instead, contact our professionals at Northwest Propane Gas Company for assistance if you detect a leak or problem with a propane cylinder. Once you have installed the cylinder and attached it to the grill, keep the top of the grill open until you are sure the flame is lit. Never add lighter fluid or any accelerant to a propane grill. Keep spare propane tanks away from the tank that is in use. Do not smoke while attaching your propane cylinder to the grill. Keep children away from the propane tank and lit grill. Do not smoke or place flammable materials such as fireworks, paper or plastic near the grill. Keep long hair and long sleeves away from the flames. If the propane cylinder runs out while you are grilling, shut the grill down to safely remove the empty tank. If you smell propane gas at any point, shut off the grill and cylinder if you can and then contact Northwest Propane Gas Company or 911. Shut off all burners and the cylinder when you are finished grilling. 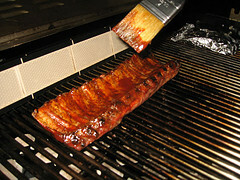 Allow the grill to cool off before covering and storing it. Store any extra propane tanks in an upright position. When you need a propane tank refill or propane exchange in Dallas and the surrounding area, our team at Northwest Propane Gas Company has all of the products and services you need. We have built a strong reputation as the leading propane gas company in Dallas. Whether you need residential safety tips and propane tank preparation for your backyard barbeque or for a commercial event, our team at Northwest Propane Gas Company looks forward to assisting you. Call us today at 800-274-6121 to schedule your propane service.